Rear-end collisions are the most common accidents. In an even narrower way, the more common type is when merging into traffic and anticipating what the driver in front of you will do instead of what they did and waiting your turn to then do your thing. You can see the frustration on another driver’s face when the person they are behind doesn’t do what they expected them to do. They get the maddening look of an angry driver who wants to hurt people. I imagine that they are also likely to be the ones who, when the driver doesn’t move and they rear-end them, they “blame” them for the error. P.S. 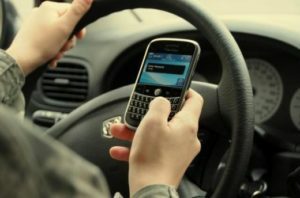 this article has nothing at all to do with texting while driving. P.S.A. – don’t text while driving. I am not in the most glamorous of industries. At a time – not so long ago – this was a very noble and needed profession. What do you do? “I employ people” was the answer. We were viewed as helpful, important, some may even say ‘critical’. Not these days. Many recruiters/headhunters/staffing professionals are viewed as immaterial or a nuisance. We recruiters no longer do what we are supposed to do. As an industry, we have allowed this to happen. We have released untrained and unskilled drivers onto the freeway of the recruiting world. Here’s the problem, they aren’t just rear-ending people. Oh no, they are wrong-way driving, they are driving on railroad tracks, they are not using a map of any kind, they do 75 in school zones when it is so evident to the experienced driver that this is where you want to allow the other drivers to see you can operate with restraint. They are, simply put, reckless as hell. Some of them even text while driving (though texting someone who you are trying to recruit is apparently now the ‘in’ thing to do). Autonomous vehicles – hurry up and get here! Oh wait, the autonomous vehicles of the recruiting world are here – life is so much better now. These completely objective applicant systems know precisely where we want to go. We say The Vig and it brings us to uptown rather than Scottsdale. Oh well, same restaurant, just 27 miles apart. They are far from perfect and they also get in accidents and even with all the super cool spinny gizmo thingies all over the car to make them look hip and new, they still screw up. A lot. They aren’t road tested and shouldn’t be used without adult supervision. How do we solve this? I am guessing there are a million ways to fix it – just like anything else that needs fixing. Here are some of my thoughts and I would love to hear yours. As an industry, we need to stop selling new hires on the fact that this industry could make them a ton of money as the main reason they should do this for a living. Does it pay well, sure, but only if you learn how to do it well and take care of people along the way. Otherwise, it pays bupkus because you ruin every relationship you disingenuously attempt to build. As a hiring manager, be sure you don’t hire a recruiter who is looking at this industry as a means to an end. We are dealing – literally every single day of our lives – with one of the most important decisions a person has to make. This is not a job for a person who thinks that can be toyed with or should be taken lightly. Not to be dramatic, but if you work in this industry and don’t “feel” for the people you represent – find something different to do with your life. Please. If you wouldn’t personally work for the client you are representing to your candidate – tell them so. If they decide they still want to proceed, that is their call. Overselling a company on the “well, they will probably get better” idea even though they have shown no signs of that in 15 years is helpful to no one. Honesty and transparency will go a long way and if your candidate still decides that they may still fit, you have done what you can do, just make sure they keep your contact info. Following on the last point – if your client isn’t someone you would personally work for – do your best to counsel them on how to fix what is broken. If you cannot save them from themselves, at least try to point to where the fire is burning and hopefully they put it out. Sugar-coated sales is dead. Be candid and hope that your relationship and your honesty gets you through. I do understand that not everyone can do this – it is a difficult thing, but is also very freeing if you decide to do it. Firing clients because they give you, your firm or your recruiters a bad name is a necessary (yet difficult) thing. Help everyone you can and hire people who want to do the same. You learn a ton about a person when you watch them interact with a waiter or waitress. Interviews over lunch are incredibly telling and I have definitely made hiring mistakes that I should have noticed while simply eating lunch with the potential hire. Kindness (or lack of it) shows pretty plainly in these situations. We need more people who operate with patience, grace and kindness in this industry – not less. Hire people who ask for help and those to who you are willing to provide help. When we release these folks to the world and they get in a tough situation – learning from those who do it incorrectly will only continue the cycle. We are here to reverse the trend, not propagate more issues. Industry colleagues, we all know that it can be solved. Let’s get to solving it. For those of you who hate our industry – we feel you. It isn’t easy being us, but I still choose this over anything else that I could be doing. Hang in there – me and my colleagues have work to do and we are not afraid to do it! We know – seriously we do – what we are “supposed” to do. We haven’t lost sight of that, simply getting drowned out by a few rookie drivers on these treacherous roads. Insights and thoughts from all of my recruiting buddies would be great.